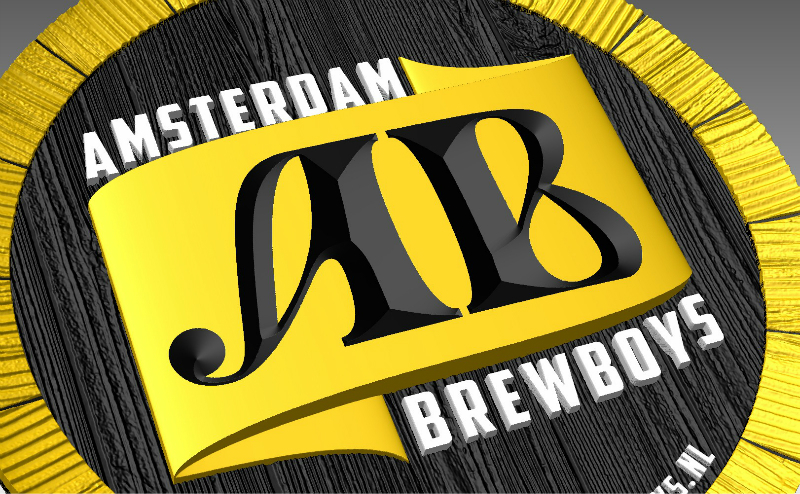 An Amsterdam based upcoming micro-craft brewery with the ambition to own and operate their own kettles, along with a brew pub, within two years…. 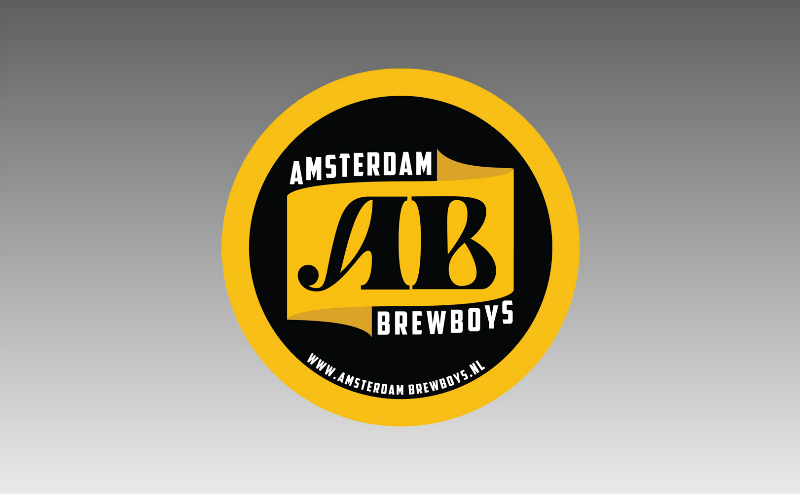 That’s Amsterdam Brewboys. Since original, pure and hand crafted are important issues for the Brewboys, it was actually quite natural that they came into contact with Schitterend. The result? A beautiful 3D sign. 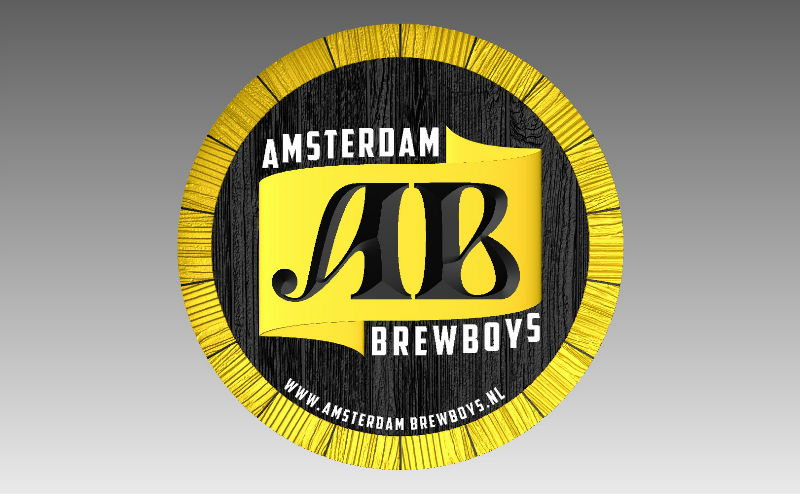 After I transformed the Amsterdam Brewboys logo into a 3D design and produced it, I then hand painted it in different woody color tones to give it a real, natural looking, wooden look & feel. Next step was to paint the V-carved AB letters in black and the other letters in white. Finishing touch was gilding the wrapper with gold leaf. 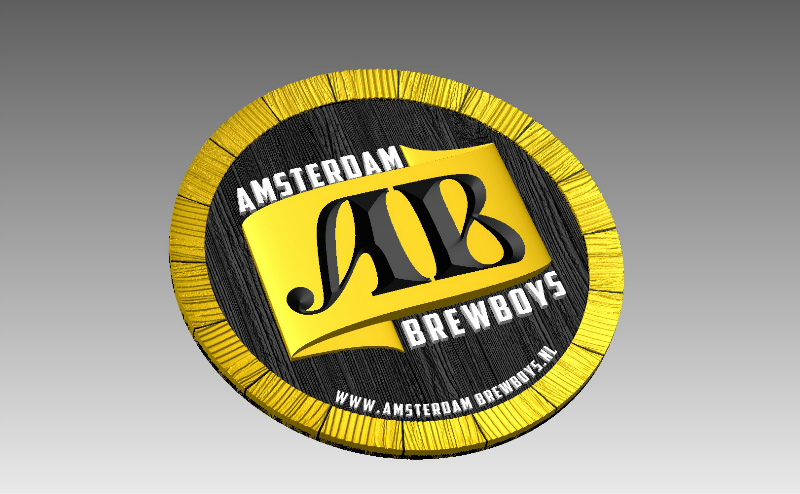 This 3D sign is made to last for as long as the Amsterdam Brewboys will brew their beers. 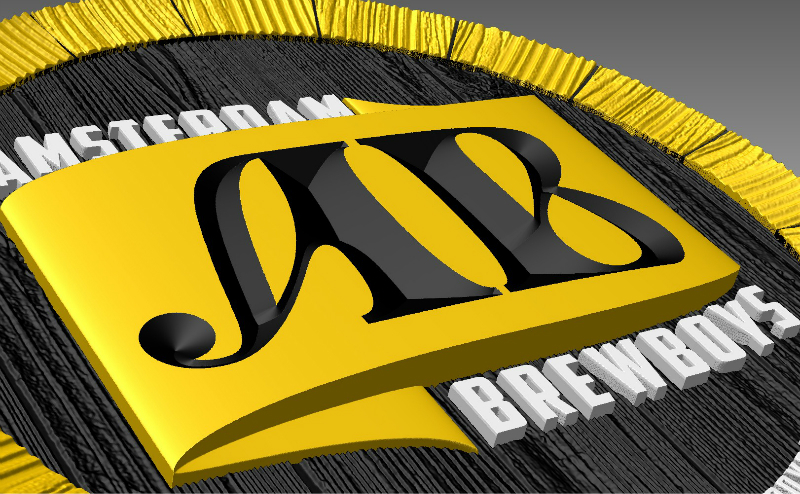 Interested in having your own logo transformed into a 3D sign? Contact me or drop by in our studio in Diemen.